Before we start I just want to mention that my last post was probably my most viewed post ever. I normally only gets about 100 to 200 views per week, but things change when you are blogging about Comic Con. I went from just about 300 views a week to about 10,000 views in a day. Also thanks to those who give me feedback. This blog is about to turn one year old as I started this squarespace account last september. The site is still under construction since I still have yet upload all of my design work from past years, but those should be up by the year’s end. This blog was initially severed as my portfolio for applying to Grad School, but over time I have found out its more than just a portfolio. This is what I do in my spear time now and I really do enjoy making these posts. So thanks again for the support. I know that writing was never my strong suit, but I am trying my best to be better at it. I promise in the last post that I will go more in details about the camera that I rented for the trip, so here’s my little review on the Sony’s RX1r. When Sony announced the original RX1 back in 2012 it really shocked the entire photography community. Never have a camera this size to include a 35mm full frame sensor. This has been the Sony's crown jewel for the last two years, and yet no other company has yet introduce a competitor to the RX1. The Sony’s RX1r is not a successor to the RX1, but just another iteration like the Nikon D800e to the D800. The RX1r removed the low pass filter thats in the RX1 to achieve more sharpness and also push from 24 megapixels to 36 megapixels. It’s basically my D800 in a much compact body. Along with the full frame sensor Sony has added a stunning Zeiss 35mm lens at f/2.0 aperture, which makes this camera perfect for street photography. The retail price currently at $2,799 which might feel a little steep, but you have to realize that this is only camera of its kind in the market. A full-frame Leica ranger finder goes for 6k just for body alone, and with the lens added the Sony RX1r almost feel like a bargain. The image quality was just astounding, especially the sharpness from the lens. 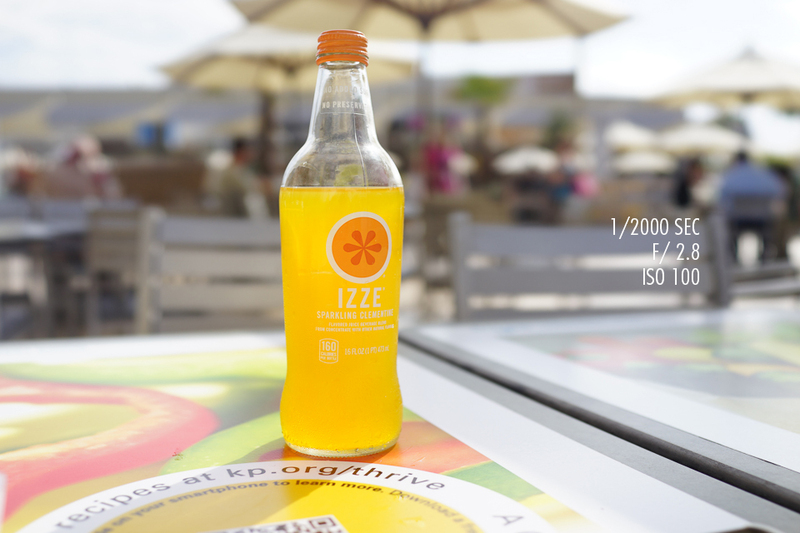 For the 80 percent of time while I was at Comic Con I kept the camera on Aperture mode. At f/4 the image was incredible sharp, and when it goes down to f/2 it was a little soft but still very sharp. The Zeiss 35mm for my D800 is almost $2,000 itself, so the price for the RX1r seem reasonable after all. One of the main concern for the camera was the battery life, and just like I expected the battery life really does suffer. This camera doesn't have a build in VF or EVF so I have to consistently use the back LCD screen in which draws a lot of power. The camera didn't even last me the whole day!? One of the main disadvantage of been a compact size camera is the size of the battery. Hopefully sony will find a solution to improve the battery life in the next version of the RX1. This was mall behind my hotel and during my planning I thought this was just a small shopping center, but in reality this place was pretty big. I got to tryout California Pizza Kitchen for the first time. The camera does well with the auto white balance and the dynamic range is about the same as my D800. Also with the shutter turn off this camera is basically silent. Close to all the pictures you see here are SOOC with only little adjustment to the exposure. Overall I was pretty happy with the camera. The major drawback is the limited battery life. Rumors goes that Canon and Nikon are coming out their own compact full frame cameras later this year, so with competition on the horizon I can totally see a huge price drop for the next version. Actually right now Sony is leading the innovation in the camera world, its really exciting time for both photographers and film makers. Ok Lets Jump back on Millennium falcon and get back to comic con. I was so happy that the weather was amazing during our five days in San Deigo. Every other road trip I’ve taken in the past always ends up raining. If it weren't for the free shuttle ride to the convention center I’d probably take the trolley everyday since it offers a nicer scenery route. San Diego is a beautiful city. I wished I had more time to explore around the city for photos. If I do come back next year I would totally stay for the entire week just so I can spend a few days taking pictures. 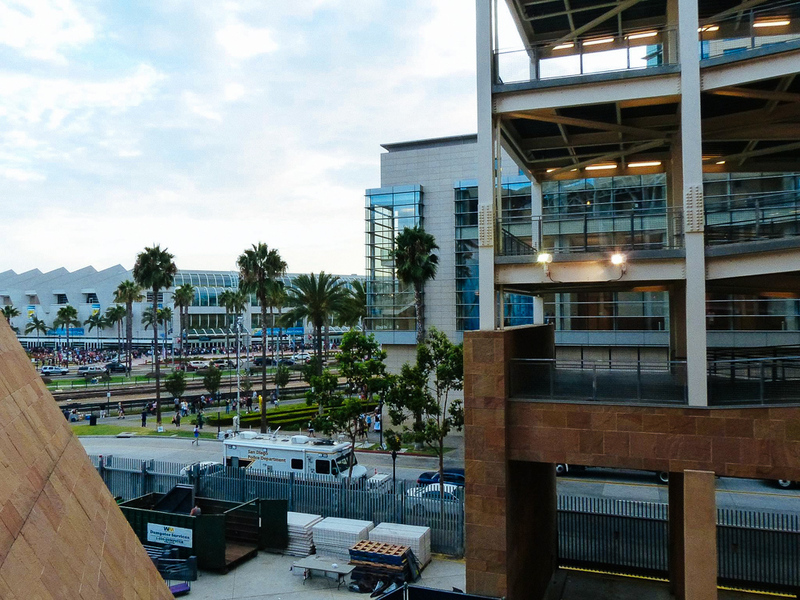 Across from the Convention Center was Petco Park. 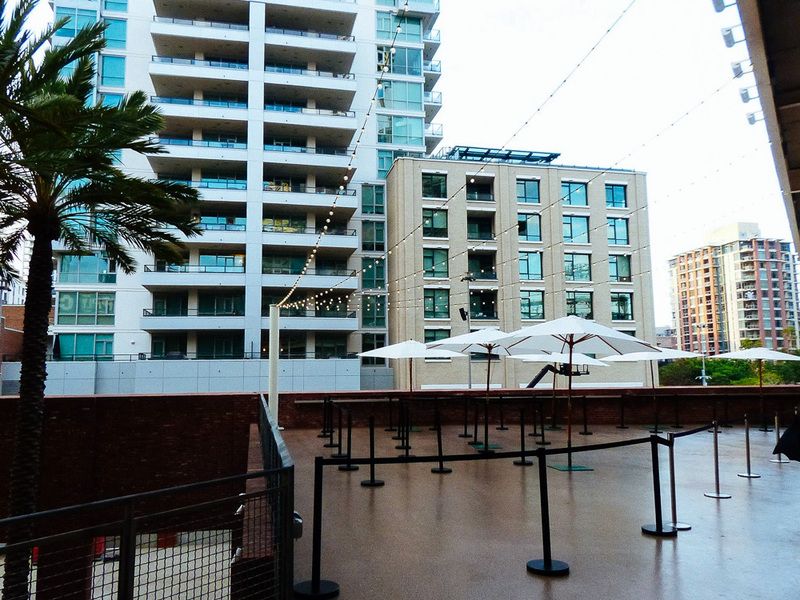 This was were NerdHQ was held this year. The event that was hosted by Zachary Levi (Chuck). He had an indiegogo campaign early this year to help pay for the event. We got there just in time to get the last wristbands for the day. It was basically just games and other fun interactive stuff, plus it was nice place to just hang and get some rest from Comic Con. These tents are for People waiting to get into Hall H. We didn't even attempt to get in line since its was pretty much impossible get in anyway. We saw people in line around noon the day before the actual panel. It was that crazy. Maybe once in my lifetime I will be crazy enough to line up for Hall H. Thought I don't see the point since most of the stuff gets leaked or release right after the panel is over. For a sec I thought that was Jason David Frank in front of me. So many Harley Quinn, So many Joker, and So many Games of Throne Fans. The biggest Convention Ever. I probably got lost a couple times around the Exhibit Hall. I definitely need some better planning if I do return next year, there was so many events that I missed just cause I have no idea where they located. A lot of events was outside the Convention including a lot of Cosplays meet up. For both Friday and Saturday we got up early for the panels we wanna see. For Friday it was The Big Bang Theory and The Legend of Korra, and for Saturday it was Once Upon A Time along with The Simpsons Panel. Due to my camera’s battery life I didn't take as many pictures I wanted to. Before the convention I had plan to do a photo shoot for Kelly’s and Lauren’s Cosplays, but there wasn't much a photo shoot when my camera is dead half of the time. Another shot of Hall H line, and also rich people yachts. Since San Diego is right by the coast it does get foggy in the morning. Once the doors were open for the panels, they tried to move everybody in quick as possible. 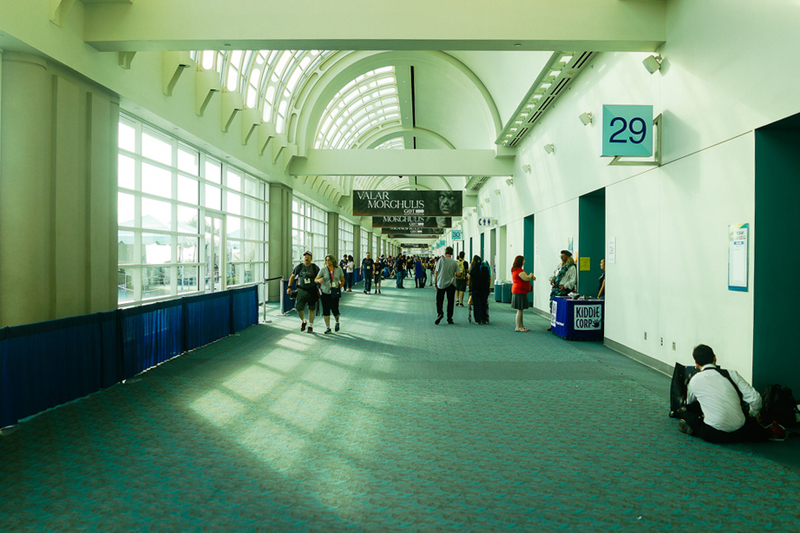 Ballroom 20 was about the size of an average convention hall, but probably a lot smaller than Hall H.
I first started watching Avatar: The Last Airbender was after I saw the teaser trailer for M. Night Shyamalan’s film back in the summer of 2009. The teaser looked very promising, but the actual film end up been a total disaster. But I am glad that it introduced me to such an amazing show and also discover the talents behind the show aka Michael Dante DiMartino and Bryan Konietzko. The Legend of Korra is the sequel to The Last Airbender and so far we are on the third season. 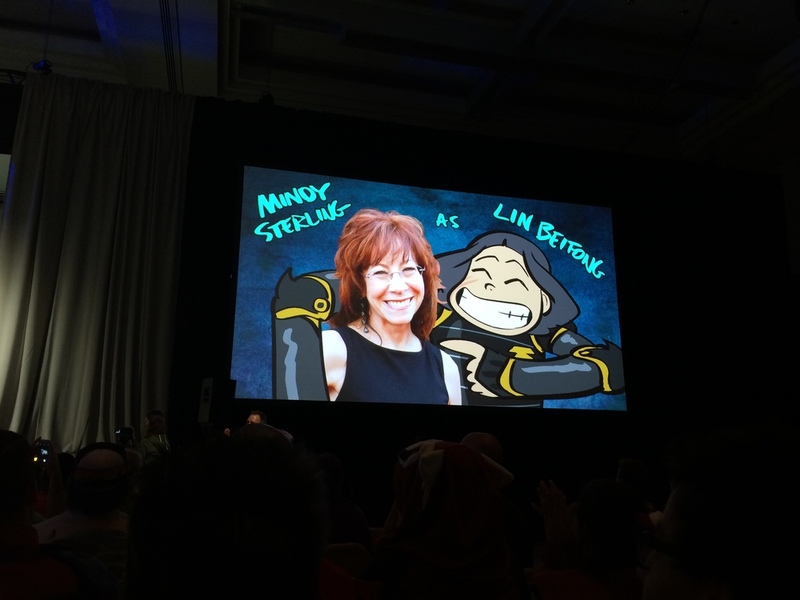 The panelist includes both Mike and Bryan, but also Janet Varney (Korra), David Faustino (Mako), PJ Byrne (Bolin), Seychelle Gabriel (Asami), John Michael Higgins (Varrick) and Mindy Sterling (Lin Beifong). 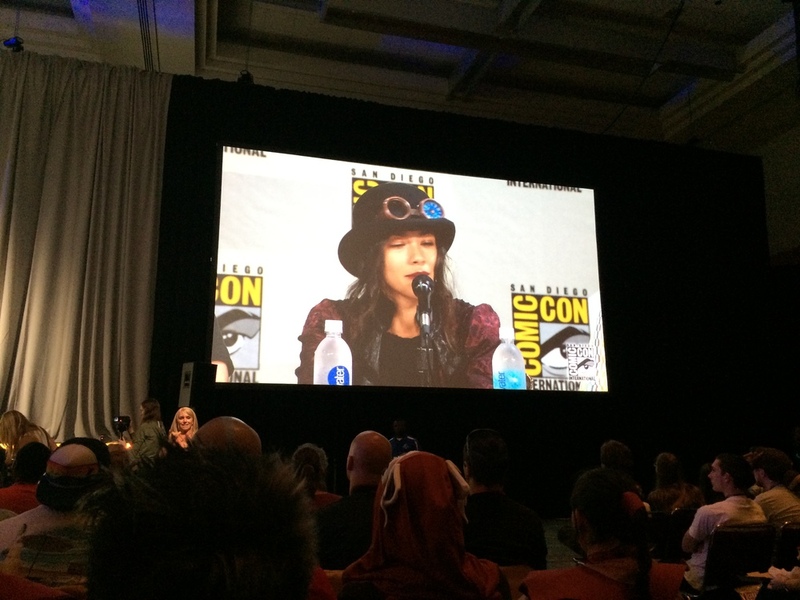 During the panel we got see a whole new episode before it was aired and then Mike and Bryan talked about why korra is now Digital only. According to them “It’s a part of this huge sea change in the whole industry”. But most importantly is that show is not cancelled and that book 4 is still on the way. I actually think this is a smart move since recently Netflix has surpass HBO in term of subscription. We are in the age now that is dominated by content on demand that word “Binge” is not just about food anymore.They conclude the panel with some concept art and a preview of the upcoming episodes. For the The Big Bang Theory i started around the same time as the Last Airbender. Summer of 2009 for me was basically staying at home watching TV shows. I saw a few episodes when it first aired on CBS, but didn't really get into it cause I thought the characters were a bit overplayed. But it was the second season that really got me hooked on the show that I went back to watch the first season. 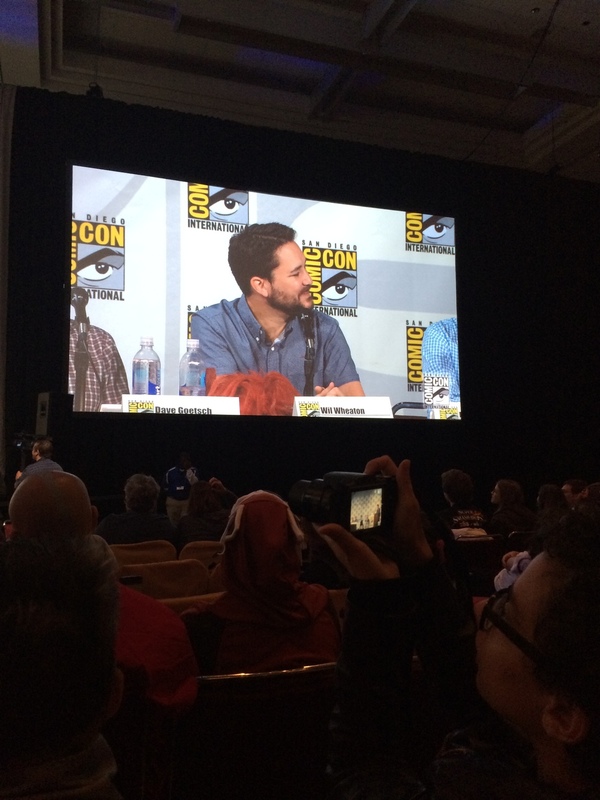 This was a writer panel for The Big Bang Theory but we a got surprised visit from Will Wheaton! 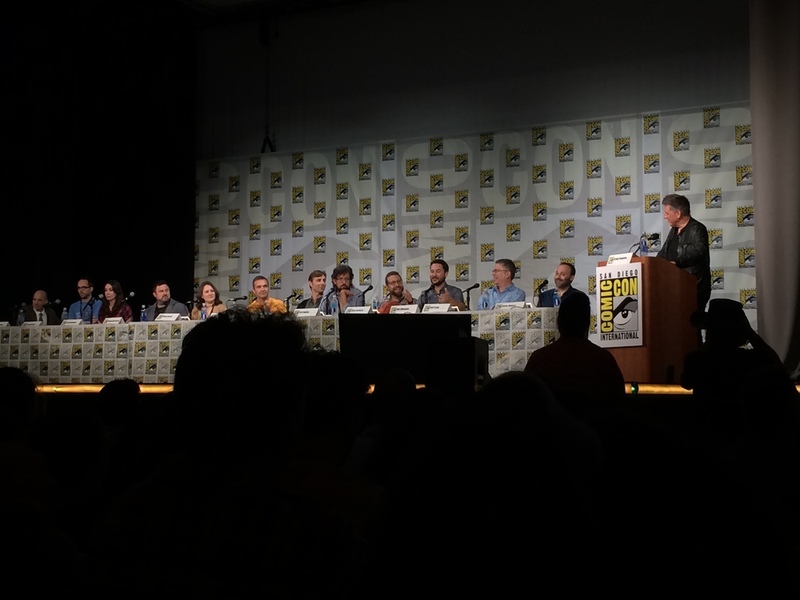 The Panel includes the main writers Steven Molaro, Chuck Lorre, Bill Prady, Eric Kaplan, Steve Holland, and also a science consultant. The Panel was lead by Craig Ferguson. It was pretty interesting to see a little behind the scene of the show and the writing process for each episode. We got a little special treat from Garfunkel and Oates as they singed a special version of If I Didn’t Have You. Think my favorite writer personal was Eric Kaplan, he just seem comical on its own. We learned that the show will have no plan to includes babies and that the comic book store will return the upcoming season. They also showed the whole trailer for Serial Ape-ist 2 and talked about that there was a alternative take on Amy and Sheldon Kiss scene. I gotta give props to the guy in the Q & A session that asked about the Comic Con opening scene when the guys were “refreshing the page” to get into the EPIC waiting room. There also a girl asked about the hatred towards Aquaman, when in reality her grandfather was original creator of Aquaman. Fun Fact: Apparently Carrie Fisher never met James Earl Jones during the filming of Star Wars. It wasn't till the filming of the The Convention Conundrum Episode when the two met for the first time. 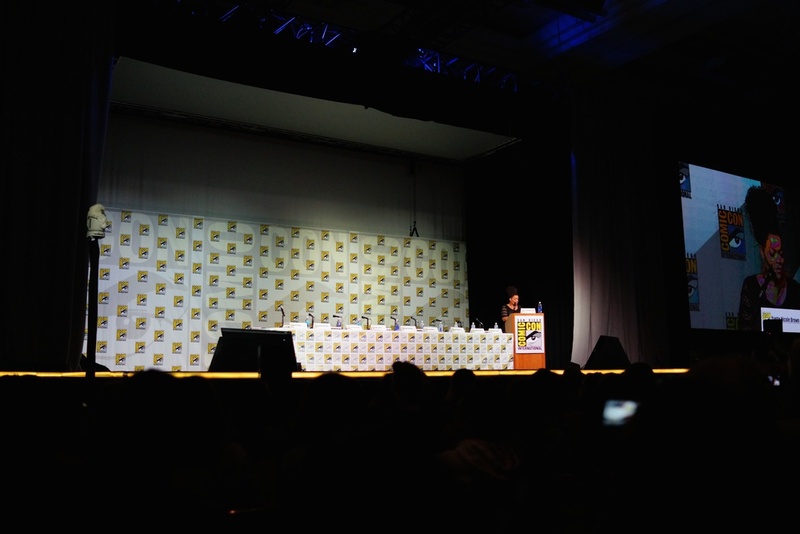 We didn't expect to see the Simpson Panel but it was before Once Upon A Time so kinda have to. I was a little excited to finally see Matt Groening in person since I was at one point a huge futurama fan. 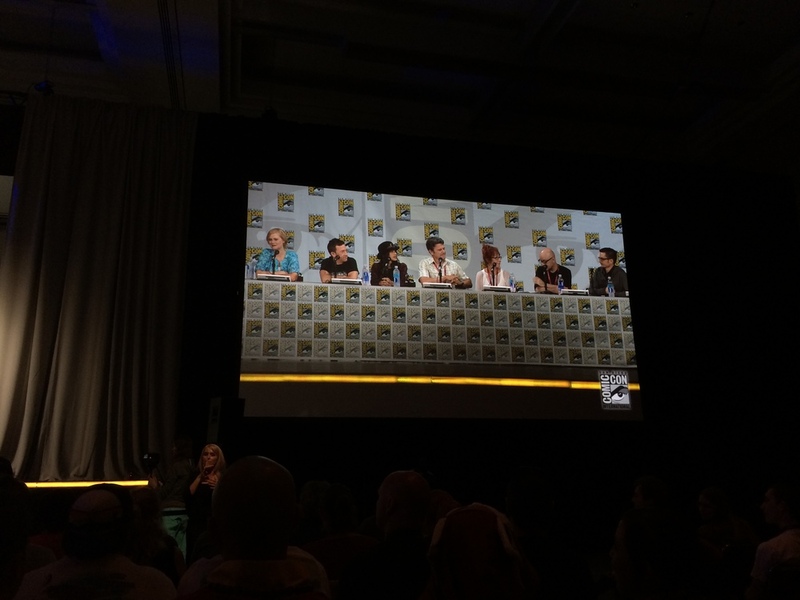 The panel includes Matt Groening, David Silverman, Al Jean, and Mike Anderson. They talked about the upcoming FX Simpson’s Marathon and also the cross over between Family Guy and The Simpsons. Then out of nowhere Matt Groening walked to the stage and we see a fully 3D version of Homer. According to them The Simpsons will be on air for a long time and that there might be a slight chance that Futurama will make a come back! All the People who asked a question got a special freebie includes little bart toys to the current season on bluray. There was one guy dressed up as homer it was pretty awesome. I’ve mention in the previous post that I just started watching this show early this year. I’ve heard about this show ever since it was announced on ABC, but I thought it was another one of those show for teens. The show has always been on top of my recommended list on Netflix so I decided to check it out. It wasn’t till mid way through the first season that the show starts to pick up speed, and before I know it I was almost done with the second season. Just like Lost, the writers Adam Horowits and Edwards Kitisis knows how to keep the story interesting with a huge cast of characters. Even with that many characters by the end of the season you seem to be connected and care for each one of them. This is the magic of Adam and Edwards writing, they have the power to intertwine characters. Jennifer Morrison, who played one of Ted’s love interest in HIMYM, plays the main protagonist Emma Swan. I am not gonna go too much details on the show since its best you see it for yourself. 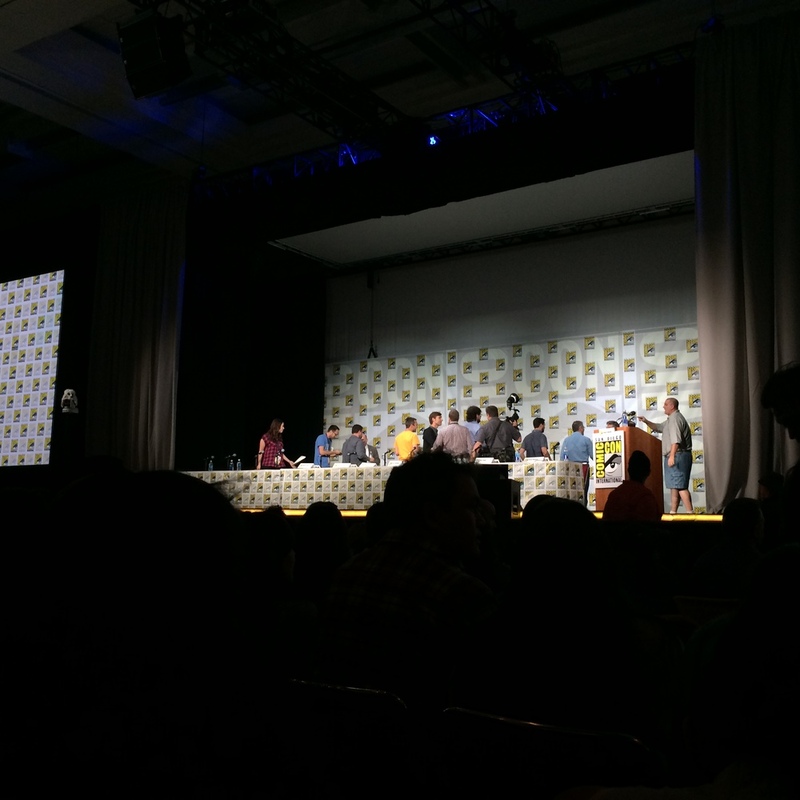 For the Panel, almost the entire main casts are on stage except Ginnifer Goodwin. This was a big panel. There was huge amount of fans that came out to see the cast and hopefully get a chance for the signing. 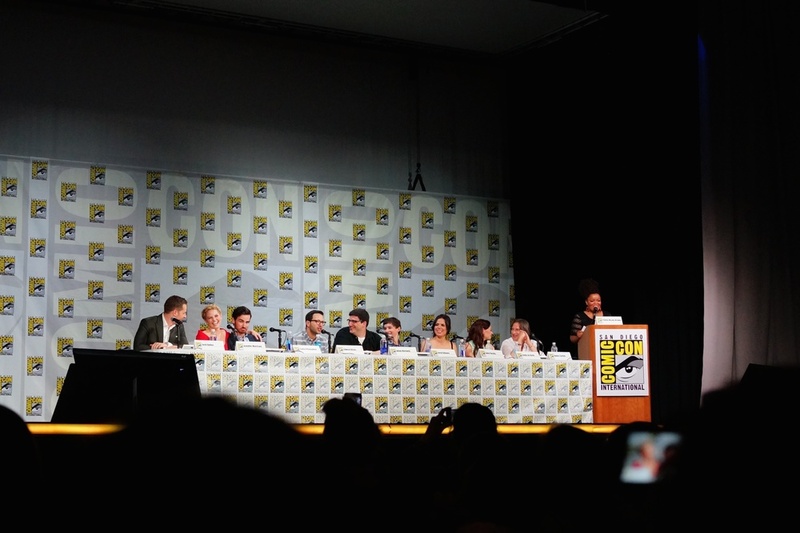 Yvette Nicole Brown (Ursula) lead the panel that includes Josh Dalla, Jennifer Morrison, Colin O’Donoghue, Lana Parilla, Robert Carlyle, Jared Scott Gilmore, and Emilie de Ravin. We got a first glance at the upcoming season which includes the characters from Frozen. We learned bit more about the romance between Emma and Hook, and how its gonna play out in the story as a whole. After three seasons the whole cast just look like one big family, which makes the interview much more personal. I love Yvetter Nicole Brown, she did a great job leading the cast and asking some tough questions. At the end, we got to witness a big surprise for the upcoming season! 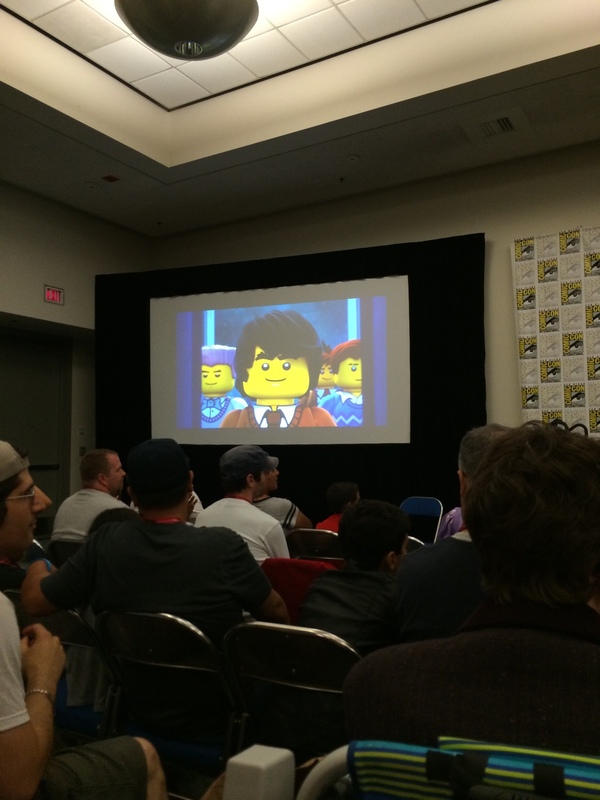 The last panel we saw at Comic Con was The Lego Panels. The Lego Movie and Ninjago were back to back. Since I only saw a few eps of Ninjago I was pretty much clueless on the new stuff they were announcing. The Lego Movie was one of my favorite film so far this year. It was a big year for Chris Pratt for which he voice for Emmet in the film, but he also plays Star Lord in the recent release The Guardians of Galaxy. I am not much a Will Ferrell fan, but I did actually liked him in this film. So many funny characters in this movie I tend to like them all! Everything is Awesome! Obviously the voice panel isn't here hence the small room, but still it was pretty awesome to see some of the behind the scene. 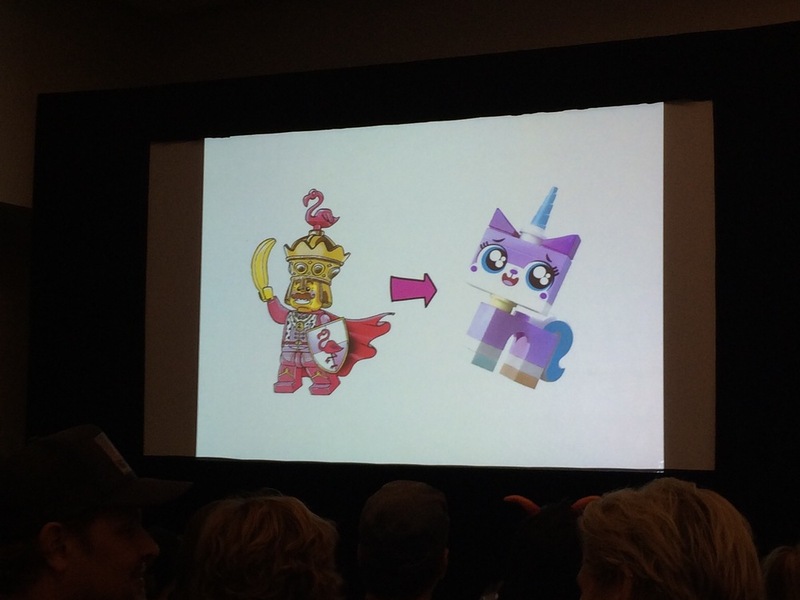 The most interesting part was the development for the character UniKitty. In the beginning it was suppose to be this crazy character name Krazy King Karl, but the character didn't seem to fit with rest of the supporting cast so they scrape the idea and started from scratch. I am actually glad they went with UniKitty cause she really stole the film in some parts. Looking at the slideshow it must be cool job to build lego all day, but I guess its lot harder than it looks since its very time consuming. 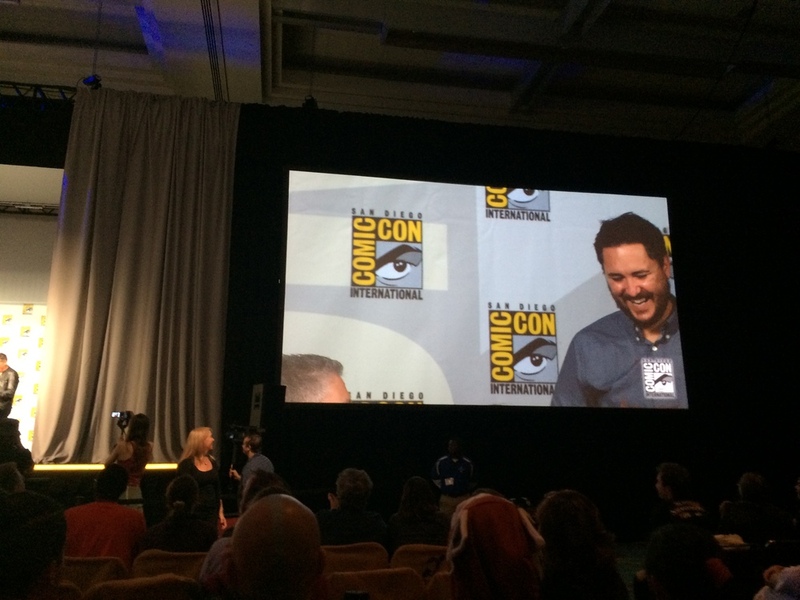 The panel concluded that The Lego Movie 2 is coming out in the summer of 2017! I seriously thought those Fear God people were just doing promotion for the upcoming Constantine TV series. Then again its comic con you bound to run into some weird folks. This view feels like you are inside the millenium falcon. I really wished J.J. Abram was here to give us a sneak peak of the new Star Wars film. Another Guy Korra Cosplay. Not sure if this was same guy I saw at AWA last year. Kitty Pryde and a dude with his own puppet twin? There a lot of Good Wolverine, but I all got was this dude who look nothing like Huge Jackman. They bound to be some Final Fantasy Cosplays. She did a good job as Lightning. Kelly and Lauren got their comic con book signed by Yuri and Tara. They remembered Kelly and Lauren from last year Comic Con. It’s alway nice when you got People who recognize their fans. The signing booth at the Sails Pavilion was much nicer than those big names panel signing in the Exhibit Hall. Fans actually got time to talk to their idols and also got a chance to take pictures with them. I am pretty sure there were a lot of Studio Ghibli fan at Comic Con like myself, here we see Kiki from Kiki’s Delivery Service. There was a recent news that Studio Ghibli was closing down, but I am so glad that was just rumors and that the Studio is doing the spring cleaning for a new generation of animators. For OUAT cosplay, Kelly was Emma Swan and Lauren was Red. For our last day we cosplayed as characters from the X-Men series. Kelly was Blink from the recent film Days of the Future Past. She did a fantastic job on the costume! We both had some major issue with our “temporary’ hairspray, it only lasted the time when we were spraying. Smash Burger has some decent burger, but I liked their shake better. Seem like The Burger Lounge this place is also doing some fast expanding cause when we landed in Salt Lake Airport during our layover there was Smash Burger right inside the Airport. I'm pretty one of these two places gonna eventually make its way to the south. Hopefully that also means that In and Out will make its way to the south. This has to be my favorite picture. Kelly and Lauren really do look like in characters aka they about go do something important to save the mutant race. But then you got this random guy sitting on the trash can probably thinking its that time of year again......the gathering of weirdos in costumes. I seriously didn't want the con to BE over, I don’t mind if Comic Con was a month long event. This trip was basically a dream come true for me, and I am happy that I got share this journey with my buddy Kelly and her sister Lauren. I really do hope we all make it back for next year’s Comic Con! We end up at this somewhat fine dinning place during our layover inside SLC airport. Posting these pictures is seriously making my post-con depression worse, all I can think when I got back home was that I want to get ready for next year’s Con. 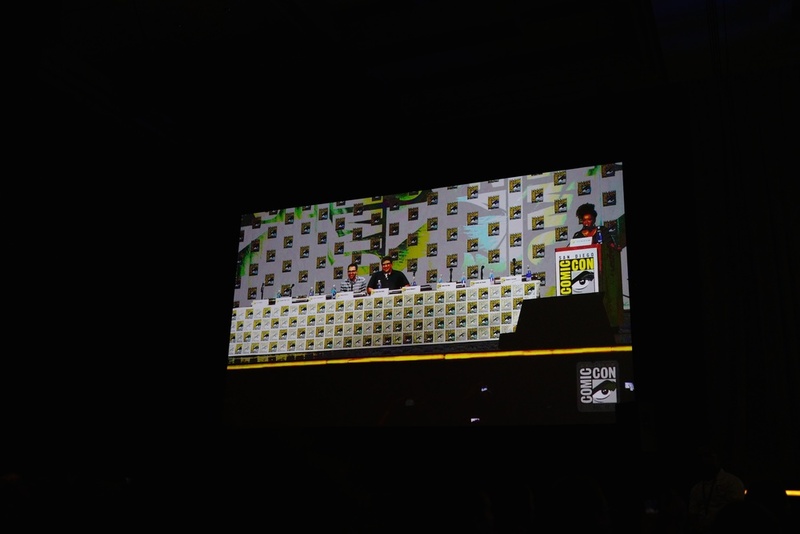 Don’t worry if you are still looking for more Comic Con coverage there is going to be a part 3, but it wont be as long as this post. I still got ton of photos from my phone to share but also I want to share my opinion on the the Pro’s and Con’s from this year’s Comic Con. So stay tune.